Gov. 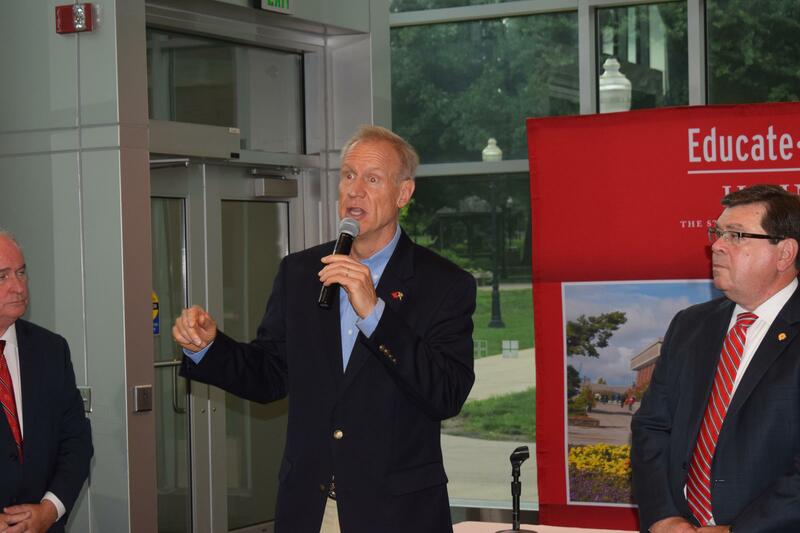 Bruce Rauner at Illinois State University's Center for Performing Arts on Thursday, June 21, 2018. Gov. 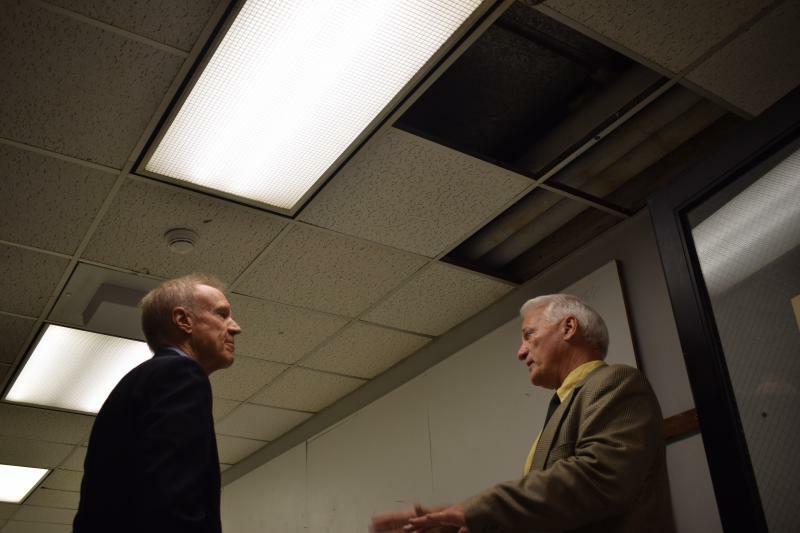 Bruce Rauner tours Illinois State University's Fine Arts facilities, where damage from a leaky roof is seen on Thursday, June 21, 2018. Gov. Bruce Rauner signs House Bill 1910 at Illinois State University's Center for Performing Arts on Thursday, June 21, 2018. The new state budget includes $62 million to renovate and rebuild the complex, some of which is 60 years old. Lawmakers also approved money for it back in 2009, but the money was never released, the project stalled, and renovations never advanced past planning and design. “I’ve pledged, and I’m going to work my tail off, somewhere in the next six to nine months ... I want a massive new capital bill, new capital program for the State of Illinois, and I want significant new investments all in our education higher institutions,” Rauner said. 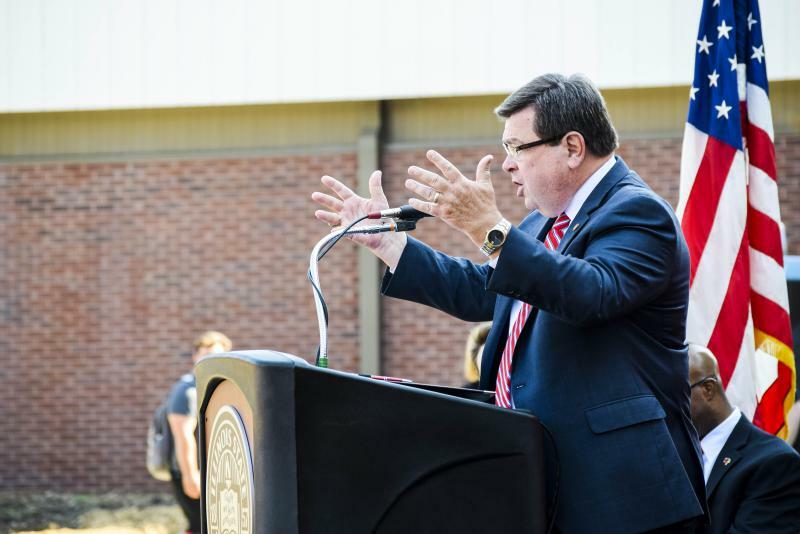 ISU President Larry Dietz said he hopes the university will know more at the end of the month about when the Fine Arts complex money will arrive. Current plans for the complex include renovating two of the buildings and constructing a new one. “We don’t need to throw any more money away or down the drain. We need the new facility,” Dietz said, noting the money that went into repairing the structures has been Band-Aids and not permanent solutions. 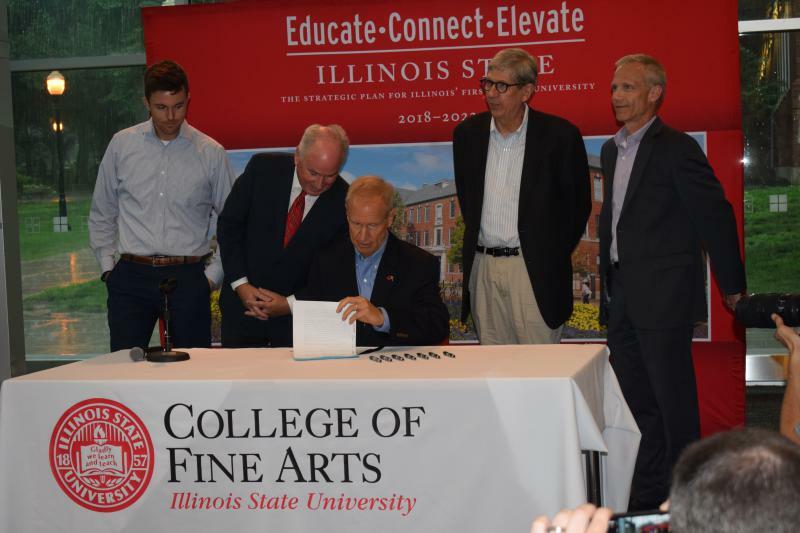 Rauner, a first-term Republican, called the Fine Arts complex investment a “first step” and said he is setting sights on bringing state-of-the-art facilities to higher education across the state. 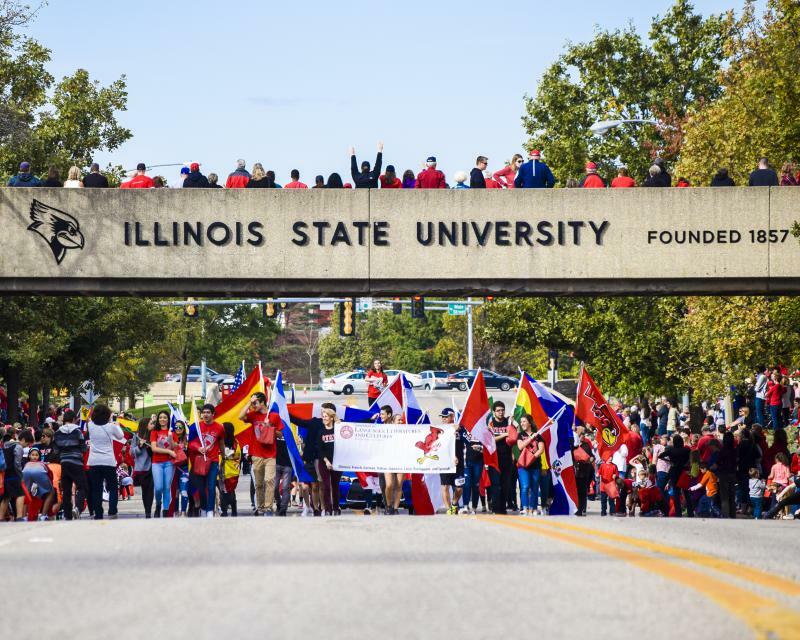 That would be a major departure from recent years, as a budget stalemate between Rauner and Democratic lawmakers strangled public universities like ISU. The governor said he wants to focus on expanding transportation with this capital bill and wants to invest billions of dollars into Illinois roads. Rauner also signed into law House Bill 1910, which allows the Town of Normal to extend the length of a 2003 tax increment financing district past 23 years.